As an Envirofit distribution partner, LivelyHoods specializes in reaching these underserved communities that can persist in energy poverty because they are considered difficult to reach and to sell to. Families there most often cook meals over charcoal on cheap, handmade clay stoves called jikos. These clay jikos cost only a few dollars and are expected to last no more than a couple of months. Convincing someone to opt for a more expensive jiko can be difficult, even if it is more durable, and cooks faster with less fuel. But LivelyHoods agents have had success selling durable, high-quality jikos like the Envirofit SuperSaver Charcoal because they understand the daily challenges their customers face and are able to address them directly. Many LivelyHoods sales agents grew up in poverty in the areas where they work, and have not completed a formal education. This makes finding a job difficult, and is further compounded by the Kenyan national unemployment rate of around 11%. This especially effects women, who have a national unemployment rate of women 13.17%, and youth (ages 15-24), whose face a staggering 70% unemployment rate in slums. Despite these challenges, the people who become LivelyHoods sales agents do start out with their own set of skills when they first begin. “One of the things I love about Kenya is the hustle,” said Claire Baker, LivelyHoods Director of Development. Claire has been with LivelyHoods since early 2016, and began to appreciate the grit and resilience possessed by LivelyHoods agents early on. Those two qualities, she says, are necessary for sales and are instilled in their employees by a lifetime of hustling. “Even when faced with an impossible predicament (their attitude is), ‘I will pay for my aunt’s healthcare – god will help me and I’ll hustle.’” Claire said. LivelyHoods prides themselves on creating jobs, not giving aid. This means that while they do offer training and sales skills to incoming agents, those agents are expected to produce results once they head into the field. When LivelyHoods began in 2011, they engaged a pilot group to survey their community and find out what kind of products they needed. As a result of this cooperation, they launched the LivelyHoods distribution network, under which their sales agents distribute life-changing products, starting with solar lamps. They’ve since expanded their product offerings to include affordable, high quality, and eco-friendly products not otherwise readily available in slums such as clean-burning cookstoves, solar products, reading glasses, and household appliances. 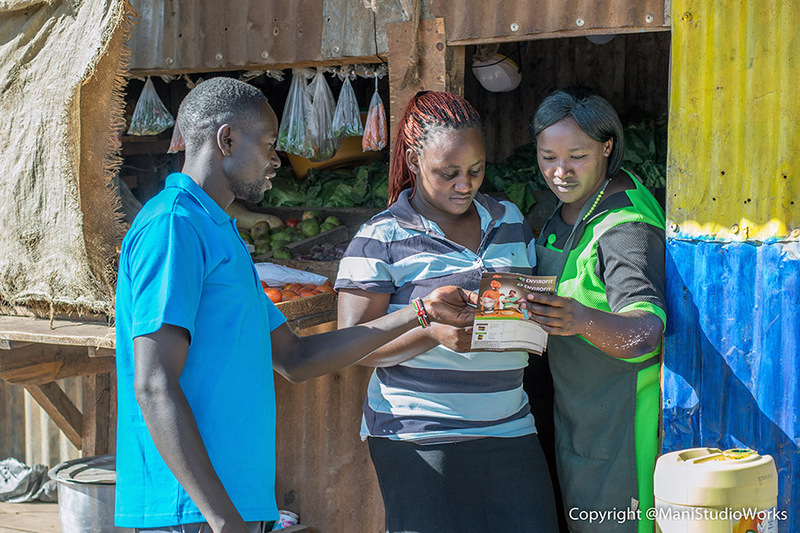 Though LivelyHoods targets low-income customers – according to UNICEF an estimated 42% of Kenya’s 44 million people live below the poverty line – the products they sell are in demand. And people will buy them if they trust the salesperson and believe their pitch. But that trust can be difficult to come by. To foster this trust, LivelyHoods emphasizes communications skills. They ensure that their agents can approach and talk to prospective customers confidently, but also listen to them and understand their needs, answer their questions, and then provide quality aftersales service. Succeeding with a push sales model in low-income communities isn’t easy, but while LivelyHoods does expect their sales agents to perform, they don’t expect them to do it alone. 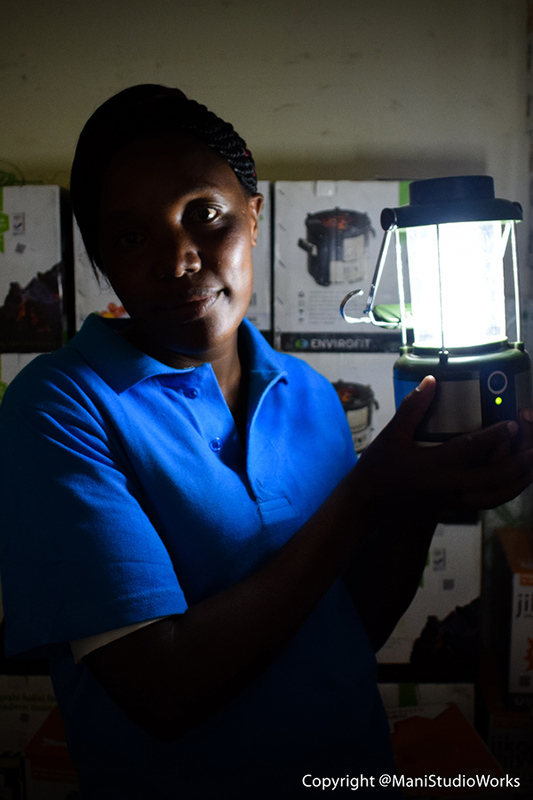 LivelyHoods agents sell durable and affordable solar lamps, cookstoves, reading glasses and household appliances. Helping people who can hustle day-to-day channel their talents towards something bigger is part of what LivelyHoods does, but their ambitions don’t stop there. “Kenya is a nation of entrepreneurs, and sometimes it moves too fast to keep up with itself,” Claire said. Every day she sees incredible innovation, dedication and motivation side by side with a lack of infrastructure, formal knowledge or encouragement. By offering their sales agents these latter qualities, LivelyHoods is investing them with skills to help them rise through the ranks of their group and beyond. LivelyHoods promotes leadership from within, which also encourages local ownership. “In urban and peri-urban slums, community is a big deal, and a sense of identity is built around where you live,” Claire said. By not taking talent away from the communities they come from, their groups are able to become local leaders and this creates more trust. Thanks to their hard work and the impact LivelyHoods has on their lives, the sales leads, trainers, and managers who started off as sales agents are now leading future generations of youth from across the country in their journey of self-discovery, independence and prosperity.